Rouge Caribe is celebrating two major milestones so far this year as it continues to expand in the Caribbean. One month prior to the Summit of the Americas the aggressively growing duty free operator opened its first stores in 3,000 sq. feet of new space on the second level of Grenada’s Maurice Bishop International Airport. 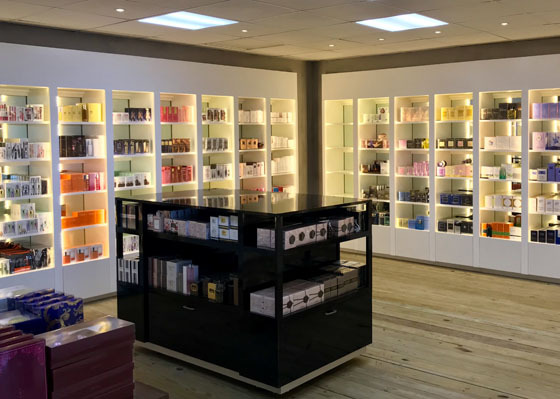 And just days before Christmas, on Dec. 20, Rouge managed to open its expanded, waterfront perfume store location in Charlotte Amalie, St. Thomas, even as the island struggles to recover from the devastation caused by Hurricanes Irma and Maria. 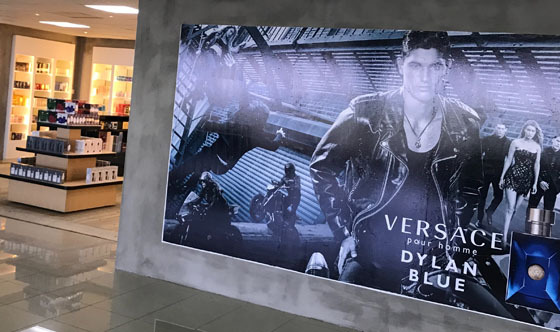 “Grenada’s long awaited second level at the airport opened for passengers on Feb. 17, and we had nearly 3,000 square feet of retail space ready to serve them,” commented Marco Bordoni, who heads up the Caribbean venture. Rouge Carib is a subsidiary of the Bordoni family’s Buenos Aires-based Perfumerias Rouge, one of Argentina’s leading beauty companies. The 120 foot long by 25 foot wide retail space, featuring wide front entrances and a bright airy layout, is divided into six category areas: fragrances, skincare & color; jewelry & watches; handbags, luggage and small leathergoods, confectionery; electronics; and tobacco, liquor & wines. “We have a wide open front and each shop flows into the next, making it easy for the passengers to shop from category to category,” says Bordoni. The store carries all the major brands, including anchor fragrances Chanel, Lancôme, Tom Ford, Christian Dior, Estée Lauder and more. “We are bringing in some more very exciting new brands in other categories as well,” he promises. The new second level handles embarkation of flights from American Airlines, British Air, Air Canada, Delta and Virgin Atlantic. As an added draw, the newly opened second level also now hosts several local restaurants. 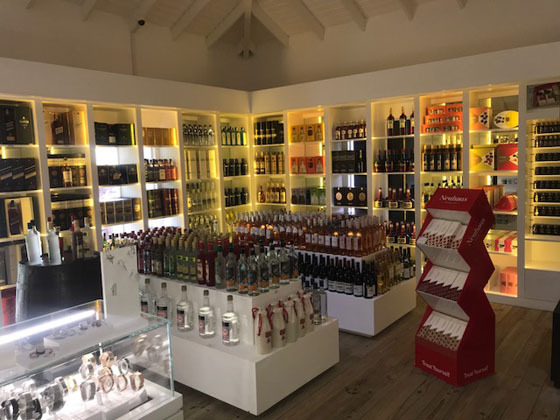 Rouge also continues to operate a store on the first level of the airport, as well as a booming flagship store in Granada’s prestigious Port Louis yacht marina. “Our flagship store in Port Louis has now been open for a year and it is selling way above expectations,” says Bordoni. “Because of the high-end clientele from the mega-yachts that dock in the marina, we can offer some very special brands. According to Bordoni, Rouge is now the largest retailer in Grenada, with its stores on two levels at the airport, at Port Louis and in the Spiceland Mall. “Rouge brought luxury shopping to Grenada. Before Rouge opened there was really no place to go to buy luxury or high end goods on the island,” he said. “We have really made our mark on the island, especially in Port Louis where we were so well accepted by the yacht sailors. Our timing was ideal—Grenada has had a 17-20% upsurge in tourism arrivals and been nominated for numerous tourism awards over the past year—including winning Expedia’s title of Caribbean Destination of the Year for 2017. “The island has 8 hotels under construction and 8 more hotels in the planning stage, so I imagine that business can only go up,” he says. Rouge’s Port Louis store in Grenada, which caters to an exclusive audience of mega-yacht passengers, report business is booming. Rouge acquired property adjacent to its initial location (the former Dadlani Little Europe Perfume store) in Charlotte Amalie, St. Thomas last year, allowing it to more than double its former 550 sq. ft. size to more than 1,200 sq. ft. and relocate to the waterfront. Because Rouge had closed the old store so it could renovate the new space shortly before Hurricane Irma hit, moving merchandise into storage, it was able to complete renovating and re-open the new space on Dec. 20, in time to meet some of the holiday demand. Bordoni says that the store has more furniture arriving every day, and business has been excellent.